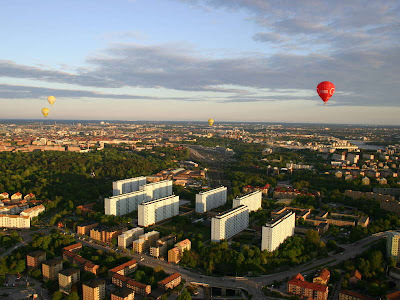 During the summer season this is a common sight in Stockholm. Not many cities allow balloons flying like this. As the wind blows in different directions depending on height - the pilot can manoeuvre the balloon rather precise with bursts of hot air. 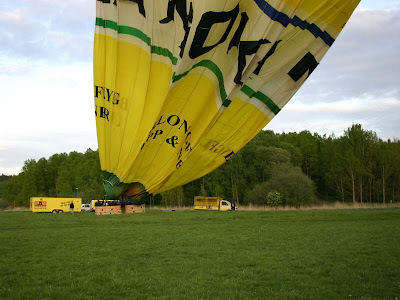 Landing a balloon is an impressing and very precise manoeuvre. Getting the air out of it is like emptying a gigantic air mattress. Afterwards each passenger is baptised in champagne. Fascinating. I would love to go up once to see what it's like.